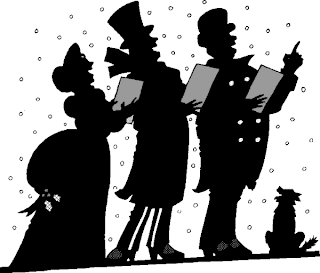 Last night we had the last of three caroling practices at my house. We are a rather freewheeling group but we are getting better. We are insanely ambitious and have a repertoire of about a dozen songs including two verses in Latin of "Adeste Fideles" and also "In Dulci Jubilo" which is macaronic. ... because Pennario loved that song and I do to. But a woman's gotta know her limitations. Someone I was reading to or listening to in the last few weeks pointed out what an unusual treasure trove Christmas music is. It is almost all cultures. It is folk music, it is classical music, it is in all languages, it is ancient, it is new. 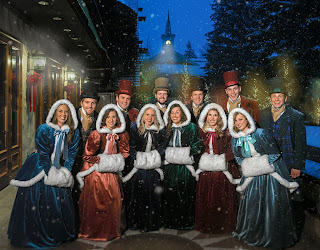 Give our caroling group enough time and we will sing it all! But right now we are kind of this fledgling group. We are like the American troops in the Revolutionary War awaiting Baron von Steuben. 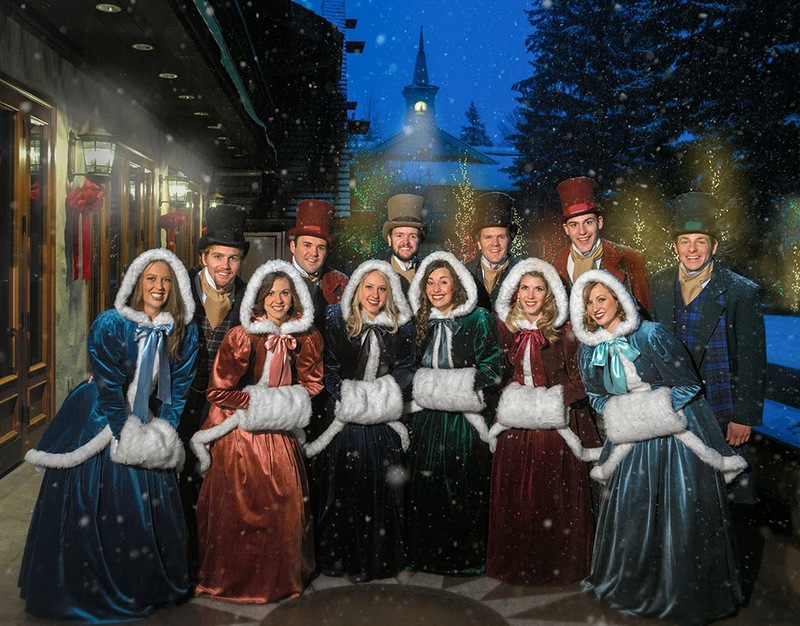 In contrast to the, ahem, Sun Valley Carolers, living the Sun Valley Lifestyle. And the Charles Dickens Carolers. What the dickens, you know?? 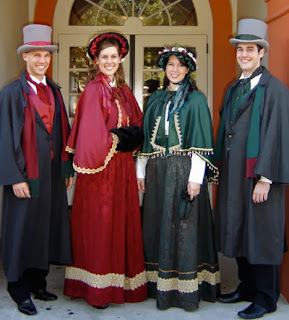 Oh well, every caroling group has to start somewhere. And you know what, we are pretty damned good. Even if we are wearing Buffalo Bills attire we will make a good showing. Sometime over the weekend we are going to start to take our show on the road and prove that. Perhaps we will start a fad. Perhaps next year we will have rival groups!